The case could test the concept of “place-shifting” – the notion that technology can free consumers to view content at any location. Whilst Mershon patented his technology a decade ago, some commentators give the inventor little chance of victory. He is claiming unspecified damages. Sling Media, who we interviewed in October, recently inked a deal with mobile phone network 3 to make its services available in the UK, Denmark and Sweden. Its founder Jason Krikorian told CNET News.com he denied the infringement accusation. The number of UK broadband connections reached 13.1m at the end of last year, up from 9.8m at the end of 2005, according to the latest figures. Point Topic’s Q4 survey puts the worldwide total of broadband lines at 281.5m, with 17.7m lines added in the three months. The year on year growth rate was 31.1%, with broadband penetration worldwide reaching 5.4%. 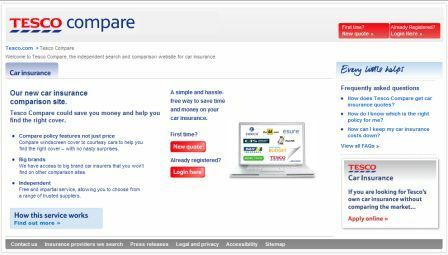 TescoCompare.com – is it any good? Tesco’s new financial price comparison site was launched by the supermarket giant last week as it moves into a market dominated by confused.com and moneysupermarket.com.